Evil Academy - Idiots all around???!!! Evil Academy > Discourse > Freethinker's Academy > Idiots all around???!!! Full Version: Idiots all around???!!! "The fallout from the disastrous Fyre Festival continued Sunday when attorney Mark Geragos (Chris Brown, Michael Jackson) filed a proposed $100 million class-action lawsuit against organizers on behalf of client Daniel Jung. 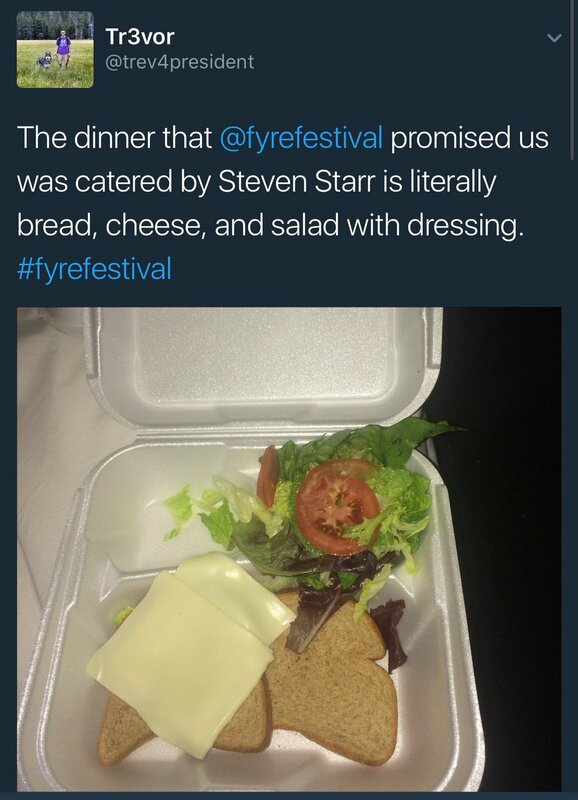 The suit accuses organizers of fraud, citing the fest's "lack of adequate food, water, shelter, and medical care created a dangerous and panicked situation among attendees - suddenly finding themselves stranded on a remote island without basic provisions..."
Soggy ham sandwiches billed as celeb chef creations???!!! The accommodations were tents that leaked, and god knows where the bathrooms where???!!! (05-02-2017 03:56 AM)ba_dass Wrote: [ -> ] Soggy ham sandwiches billed as celeb chef creations???!!! They didn't even get ham. Sounds like chaos all around. AD SAYS: "On the boundaries of the Impossible". Yes. Paying over 4,000$ a day for bare minimum accommodations is on that boundary. Quote: Mr. McFarland and Mr. Atkins began personally reaching out to performers and celebrities in advance of the festival and warned them not to attend — acknowledging the fact that the festival was outrageously underequipped and potentially dangerous for anyone in attendance," the complaint reads. "Nevertheless, Defendants refused to warn attendees about the dangerous conditions awaiting them on the island. 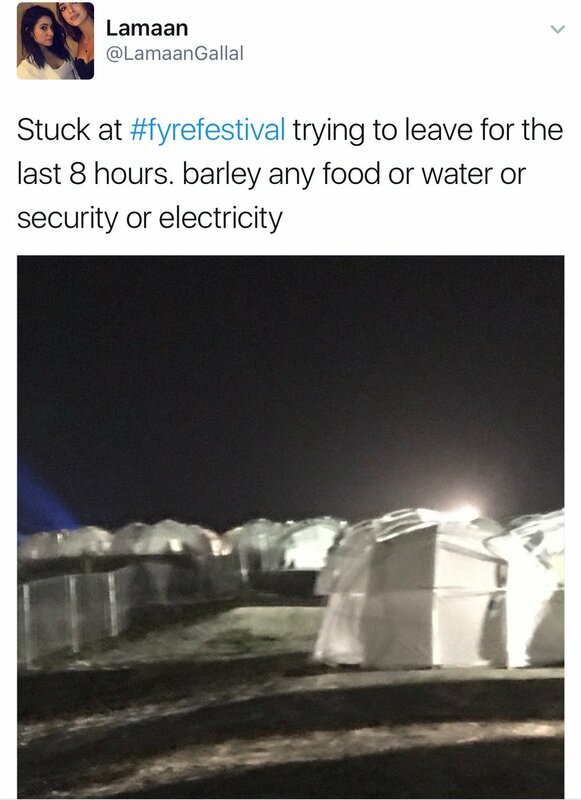 Defendants only 'cancelled' the event on the morning of the first day — after thousands of attendees had already arrived and were stranded, without food, water, or shelter." Tickets ranged in price up to $12,000, with some attendees paying close to or over $100,000 to attend. At least there no Natalee Holloways in this story???!!! Just a bunch of scalded egos???!!! What is this Frye festival? And here's their website, with the promise of a 2018 event???!!! (05-02-2017 06:51 AM)Billygoat Wrote: [ -> ] What is this Frye festival? Frye festival a different one. 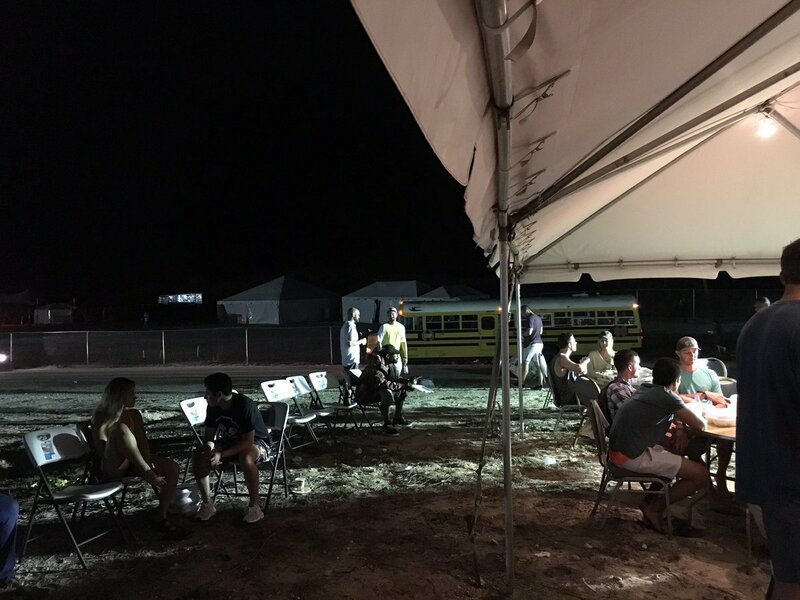 This is the Fyre Festival, a Bahamas 3 day music concert festival with rap and pop music.